Maxwell Sleeve for MacBook is a water and stain resistant MacBook or MacBook Pro sleeve with a magnetic enclosure. The sleeve is made from Nano-Tek, which is created using a process called nanotechnology. This makes it durable, plus stain and water resistant. 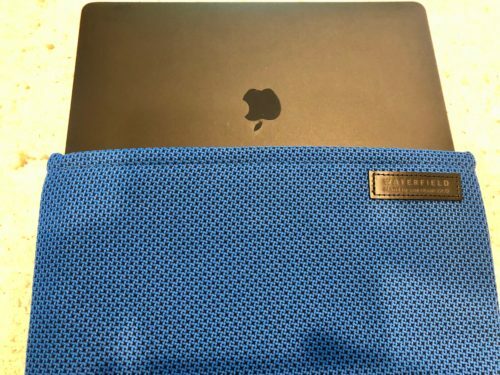 The Maxwell Sleeve is available for the new 12 inch MacBook, 13 inch MacBook Pro with Touch Bar and the 15 inch MacBook Pro with Touch Bar. You can choose from six colors which are Kelly, Crimson, Cobalt, Slate, Waxed Canvas and Black Ballistic. Additional options include choosing whether the sleeve opens horizontally or vertically and whether you need a carrying strap. My review unit is for a 13 inch MacBook Pro with a horizontal opening, no strap and in cobalt blue. There is a black leather patch on the top and another black leather patch with the WaterField emblem patched on the bottom. Inside is black and has a 38 tag inside indicating the model. The top closes using hidden magnets. The MacBook Pro fits perfectly in the sleeve and the magnets close the top to secure it. 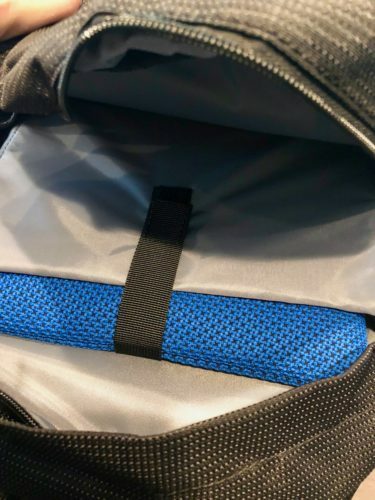 With the Maxwell Sleeve on, I was still able to store the laptop in my laptop bag with room to spare. Visually, the sleeve is very attractive. The cobalt blue really stands out, and is still subtle. The leather accents really add to the luxurious look and feel, and the magnetic close makes for no zippers, which gives it a very clean look. The first think you will notice is the weight of the sleeve. It’s heavy for a sleeve. That doesn’t mean it’s heavy, it just means that compared to other sleeves it is substantial. Squeezing the Maxwell makes me realize how many materials are used in it. 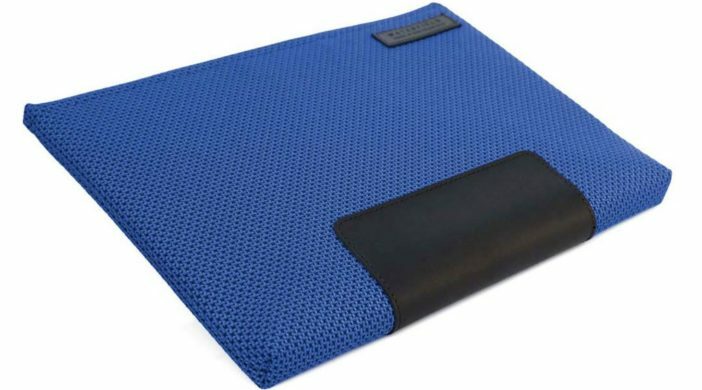 It is padded, and the material used to protect it are thin and strong. 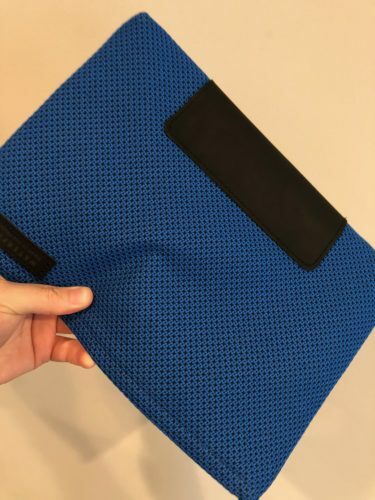 The interior features a very soft fabric and with the magnetic closing, there is no possibility of damaging the laptop from the inside. The outside is made from the Nano-Tek material, which feels strong but doesn’t feel too rough. The tiny grid pattern is also very well presented. In addition to being a luxurious, attractive and tough sleeve, it is also water and stain resistant and TSA compliant. WaterField products are premium end products. They produce and sell bags, cases and accessories using high end materials that are built to protect and carry. My only problem now is that I need a nice WaterField bag to match the sleeve. MyMac Review Rating is 9 out of 10. Luxurious, functional, and great protection makes this an excellent way to carry and protect your MacBook.